I precut some of the transparency sheets I had in my stash (I only had two) with the intention of inserting them here and there, wherever I felt like putting them. 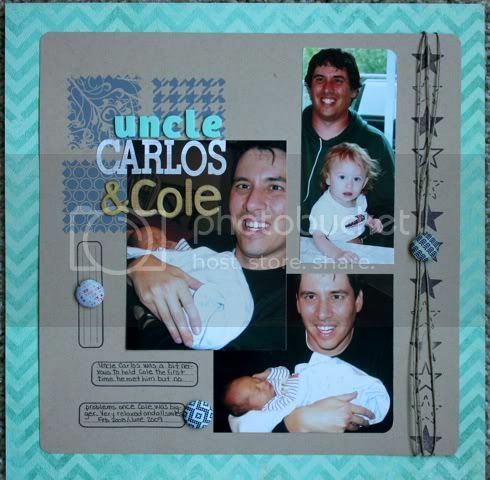 It worked great for this day as I wanted to highlight the fact that it was my birthday and include photos on both sides of the layout. I added some rub ons and bling to the left hand page and to the transparency. The back of the transparency has a patterned paper piece and a Jenni Bowlin sticker and SEI chipboard snowflake to cover the back of the photo. 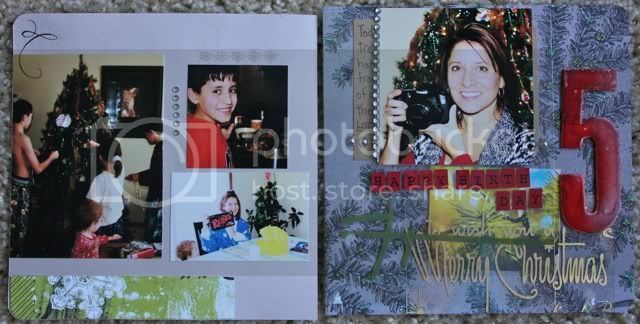 The right side includes a photo (taken with my new birthday present) in addition to the journaling. I have already decided what I want to do for my Day 6 entry but it's now too dark to take the photo so it won't be posted until tomorrow. 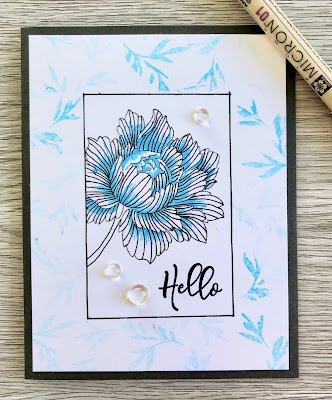 I used supplies from a Studio Calico kit, love the star stamp and the journaling stamp too!